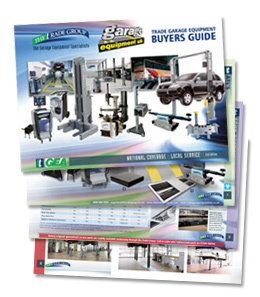 The Garage Equipment Buyers Guide is designed to help customers choose the right garage equipment, as well as detailing the sort of products used in a modern garage. It outlines the planning service available for turnkey projects or the smallest workshop whilst also giving guidance on MOT and ATL installations. To download the Garage Equipment Buyers Guide simply fill in the information opposite and press 'Download'. The pdf download should start immediately. If you are experiencing any difficulties downloading the buyers guide, call us on 01902 711722.